The statistic depicts the unit sales of E-bikes in Europe from 2009 to 2012. 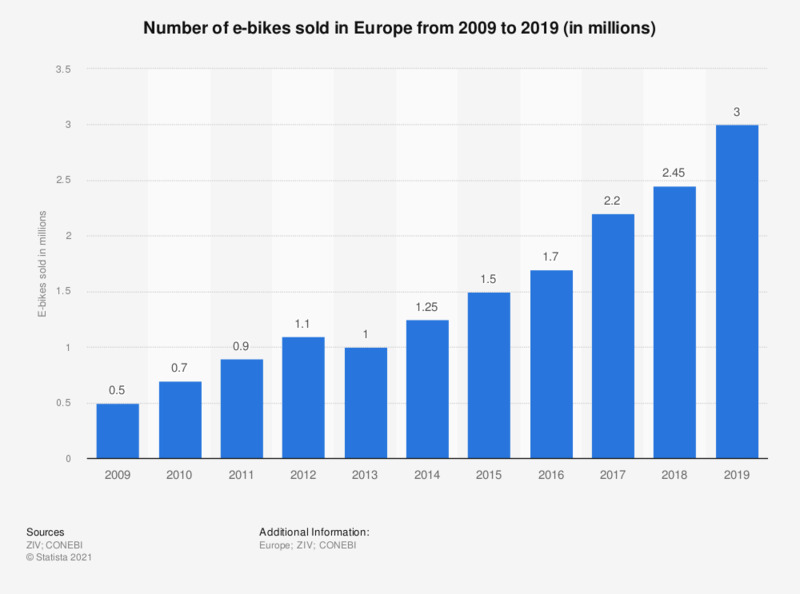 In 2011, approximately 700 thousand E-bikes were sold in Europe. Everything On "Electromobility market in Europe" in One Document: Edited and Divided into Handy Chapters. Including Detailed References.